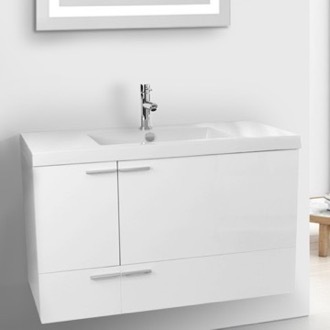 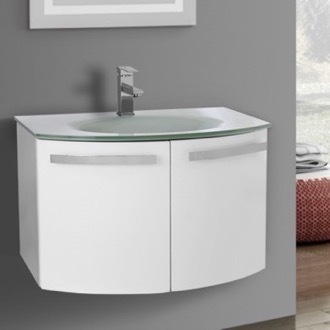 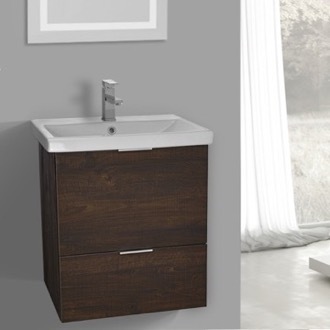 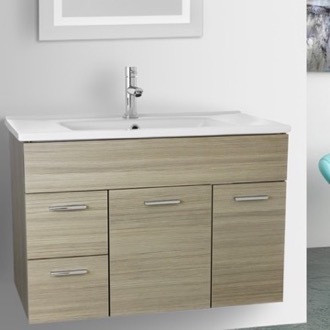 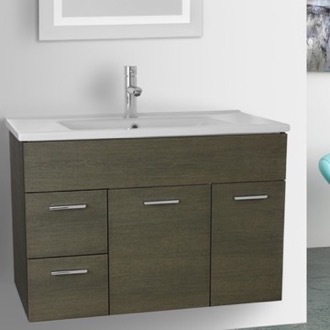 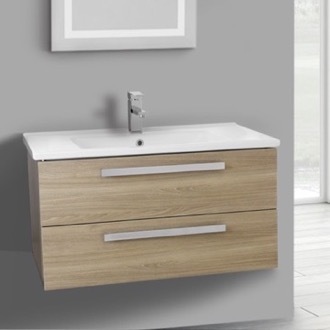 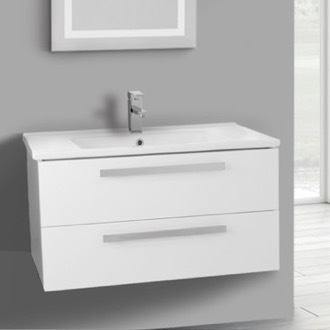 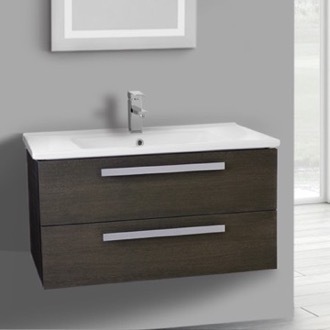 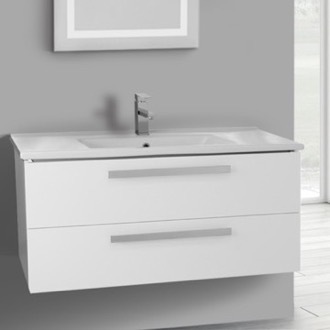 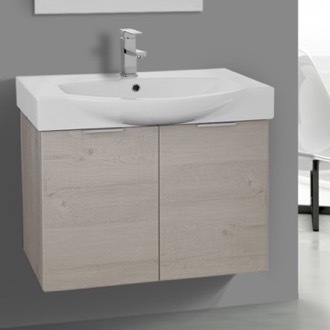 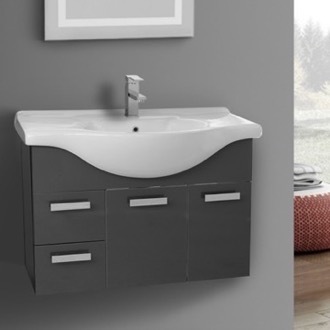 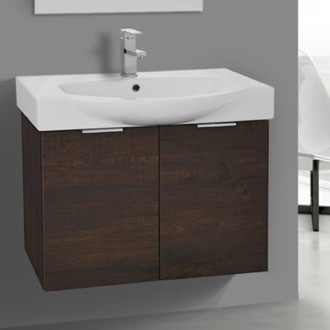 Shop our selection of floating bathroom vanities and get FREE shipping on all orders over $99! 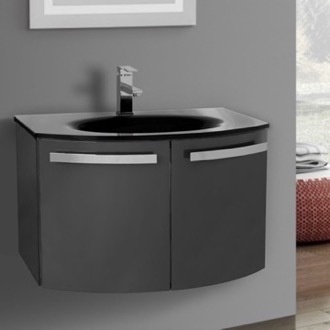 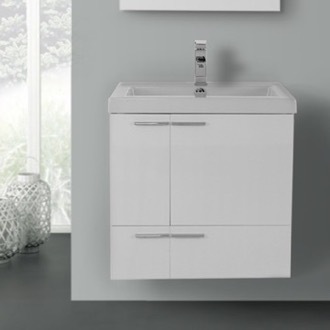 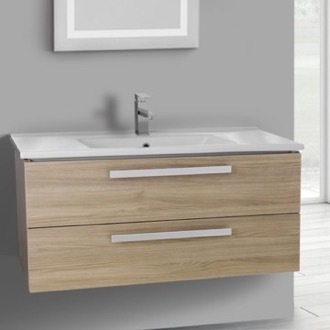 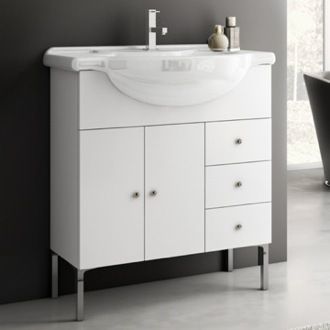 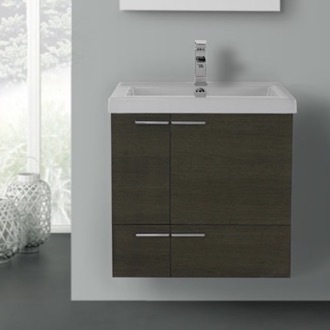 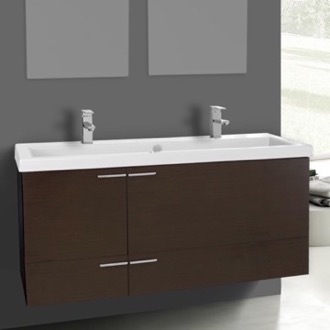 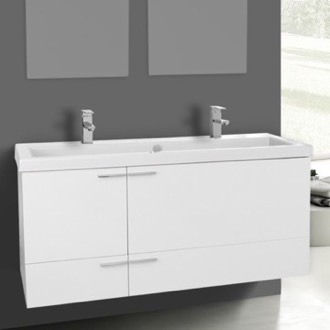 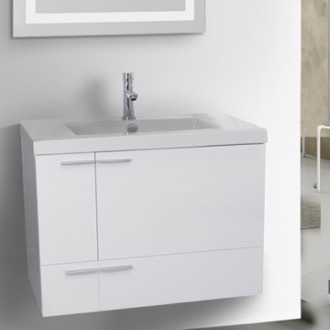 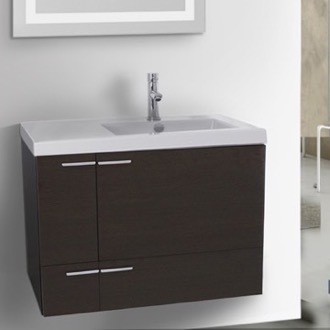 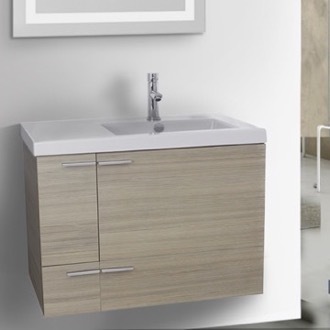 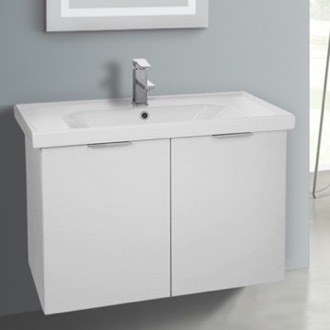 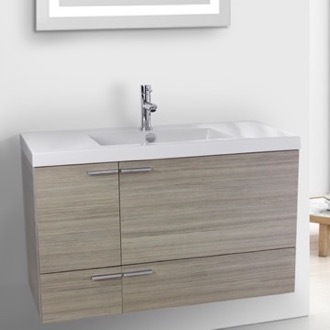 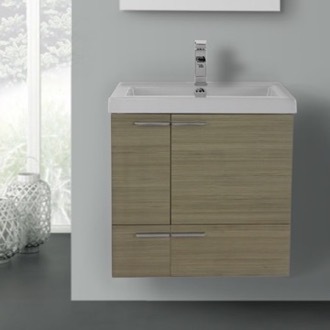 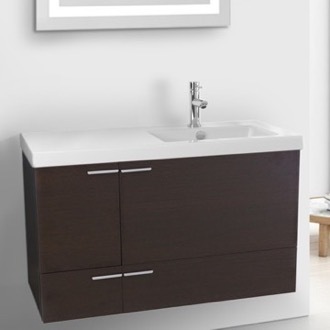 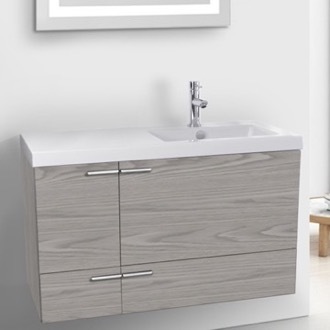 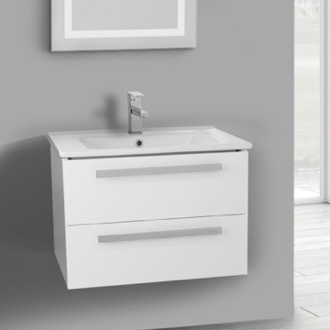 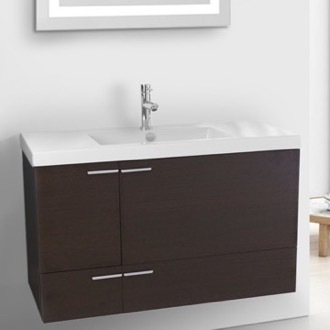 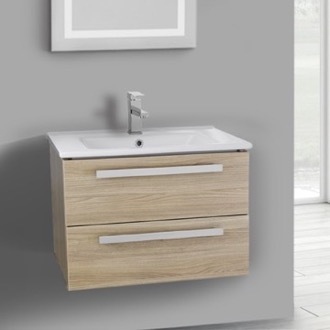 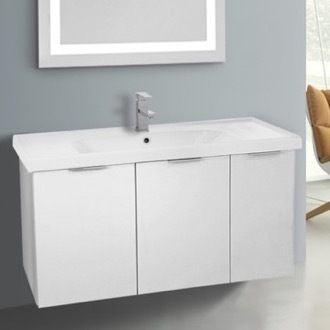 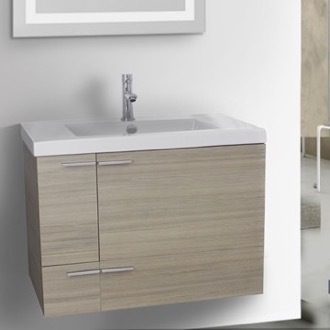 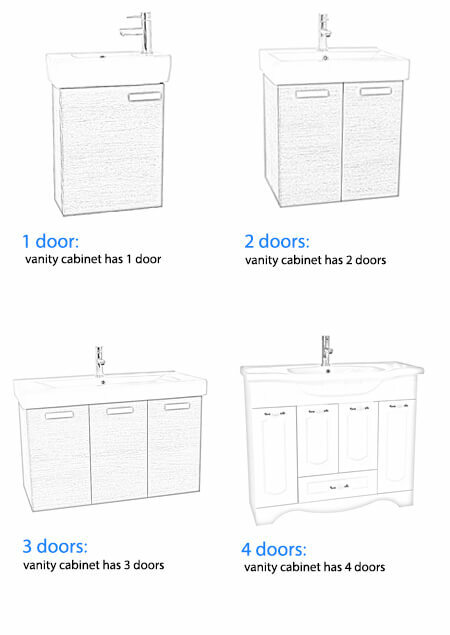 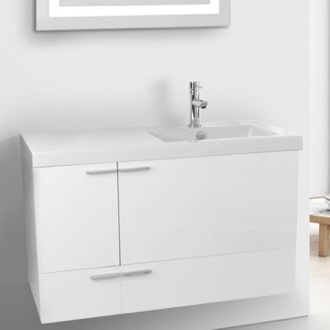 Floating bathroom vanities are a trendy choice for modern bathroom designs. 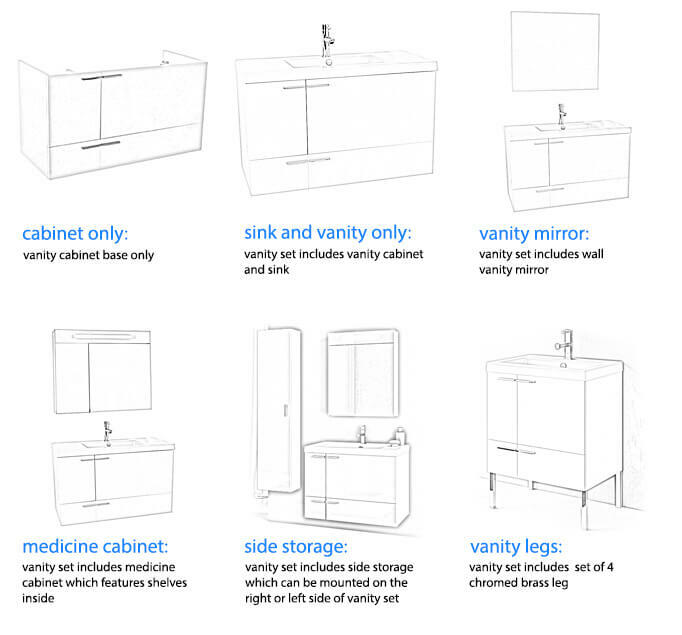 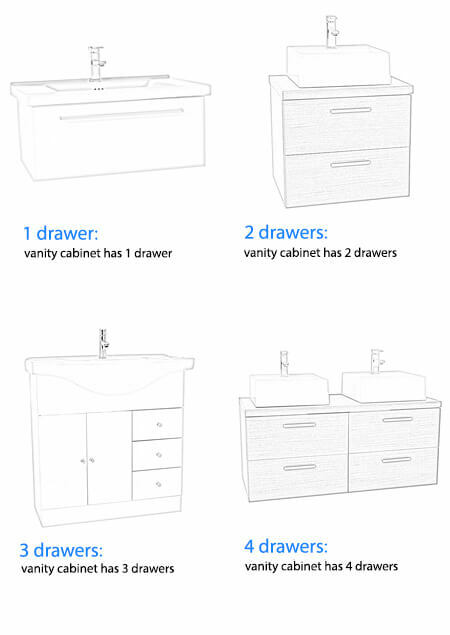 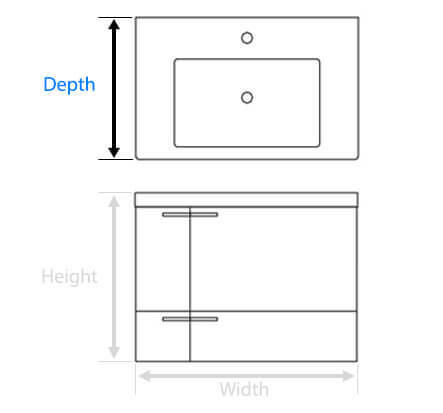 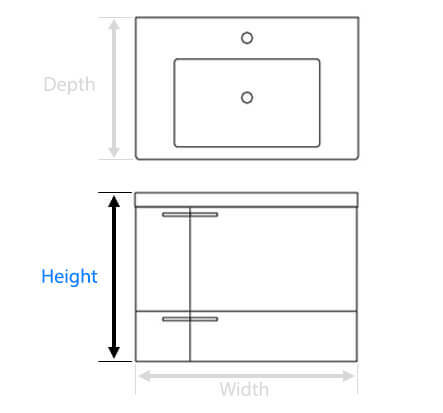 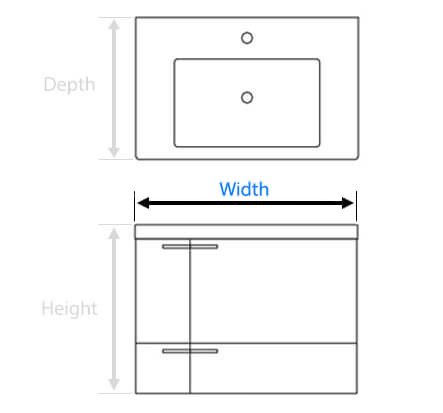 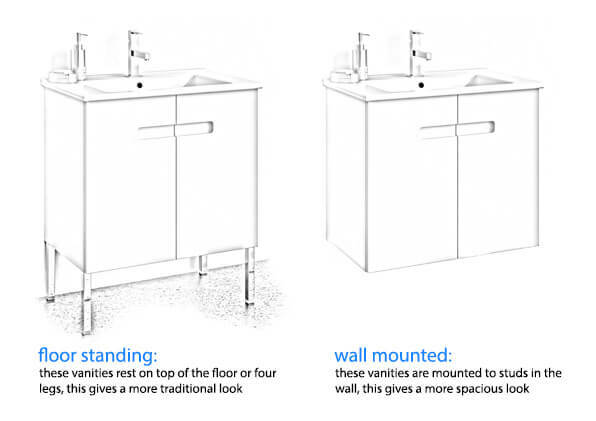 Also known as wall mounted vanities, there is typically a space between your vanity and the floor. 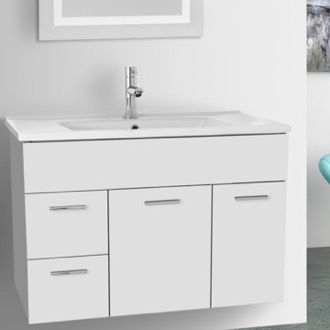 This extra space can be used for storage, or keep things pristine and easy to clean. 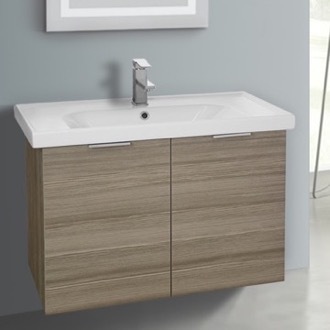 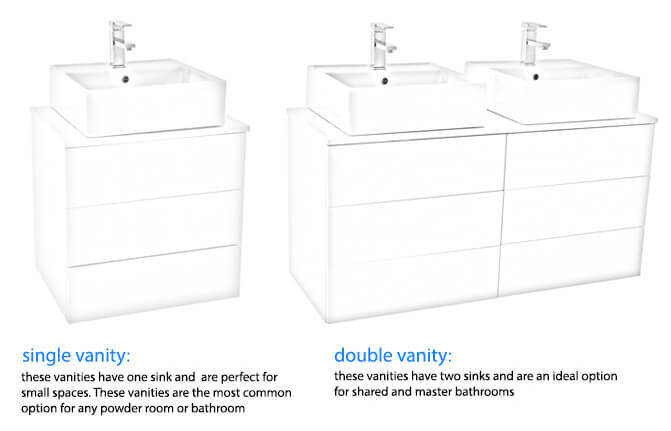 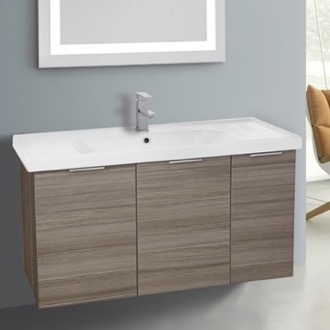 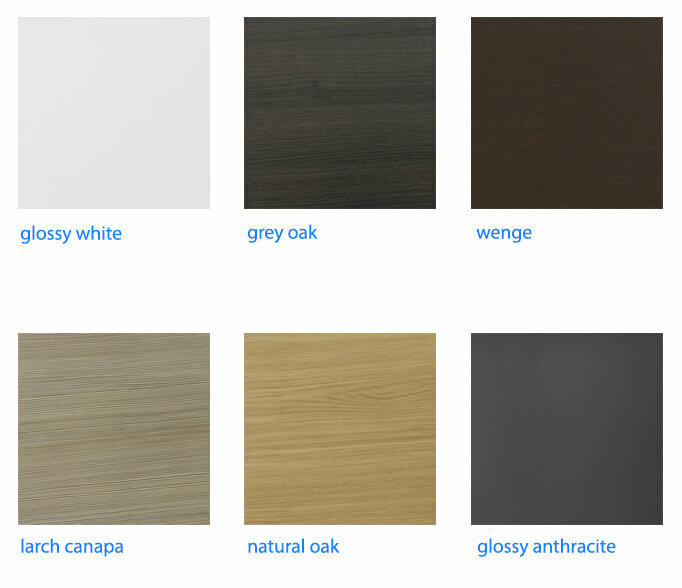 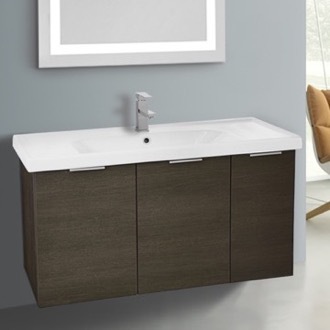 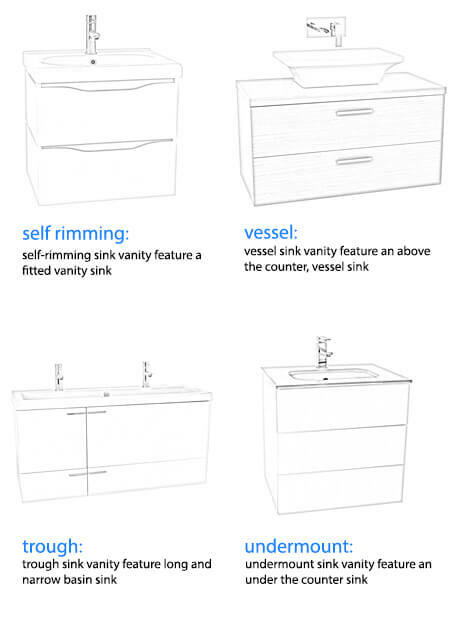 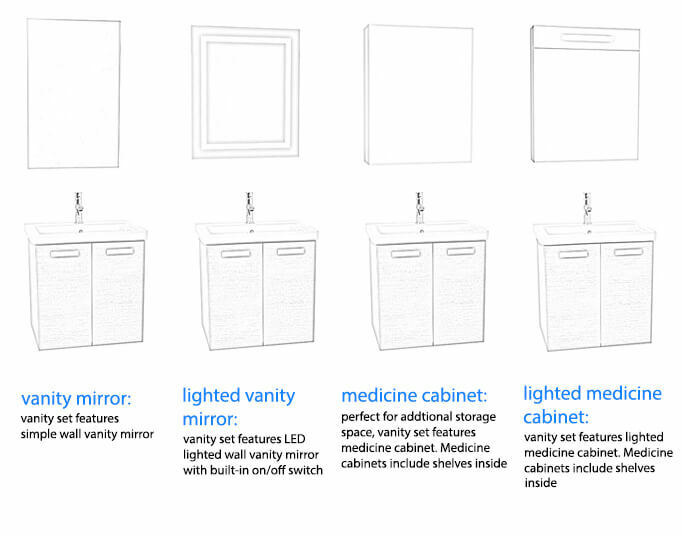 You can choose from endless finishes for your floating vanity, including both the vanity material and the sink style.